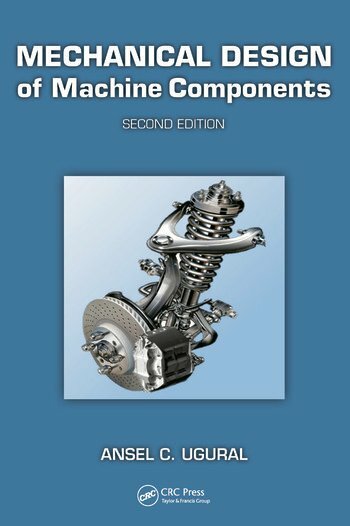 Mechanical Design of Machine Components, Second Edition strikes a balance between theory and application, and prepares students for more advanced study or professional practice. It outlines the basic concepts in the design and analysis of machine elements using traditional methods, based on the principles of mechanics of materials. The text combines the theory needed to gain insight into mechanics with numerical methods in design. It presents real-world engineering applications, and reveals the link between basic mechanics and the specific design of machine components and machines. Divided into three parts, this revised text presents basic background topics, deals with failure prevention in a variety of machine elements and covers applications in design of machine components as well as entire machines. Optional sections treating special and advanced topics are also included. Mechanical Design of Machine Components, Second Edition helps you gain a grasp of the fundamentals of machine design and the ability to apply these fundamentals to new engineering problems. Ansel C. Ugural is a visiting professor of mechanical engineering at the New Jersey Institute of Technology, Newark, New Jersey. He has held faculty positions at Fairleigh Dickinson University, where he has served for two decades as a professor and chairman of the mechanical engineering department. Professor Ugural earned his MS in mechanical engineering and PhD in engineering mechanics from the University of Wisconsin–Madison. He is the author of several books, including Stresses in Beams, Plates, and Shells (CRC Press, 3rd ed., 2010). In addition, he has published numerous articles in trade and professional journals. 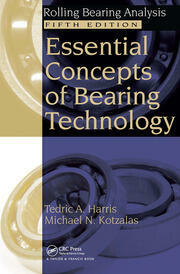 "Ugural has written a very good, comprehensive technical book for machine design. The book covers every fundamental of mechanical design… The author helpfully offers some case studies in which the theory is connected with and implemented in practical application…"
"Overall, the book covers the bases. …as complete as a machine design text can be… addressing basics, failure analysis, and a healthy variety of actual design elements and assemblages. The case studies provide particularly valuable insight into the design process as applied in the real world." "…provides a good overview of the constituents of machine element design. The examples are interesting and illustrative." "The main strengths ... are that the book is written in an easy-to-understand English and that topics are explained rigorously. The book is well documented with references to research articles and gives good, broad but also deep insight into many subjects. ... Chapter 1 has a very good introduction to working as an engineer. The design phases are well written and understandable. ... Chapter 7.9 – 7.12 is very well written with a good introduction to using safety factors with the Goodman diagram, etc. This is not found in other books. ... [Overall,] the book covers a very broad area of mechanical engineering and still maintains good, in-depth coverage of the subjects. The book actually covers the syllabus of different courses, without the lecturer having to bring in additional reading." "An excellent comprehensive textbook on mechanical design that includes the topics usually covered in a second course of mechanics of materials." "A valuable textbook for students who are interested in applying basic mechanics of materials knowledge to real-world problems." "After using the first edition of this text for about a decade, I highly recommend this text in the field of mechanical design. Ugural gives us a clear and concise treatment of the subject; detailed chapter example problems with some appropriately place case studies. Also, his end of chapter problems reflects the chapter’s subject matter and example problems in a thoughtful and relevant manner." "I can say right now that I will use this textbook this fall. I have looked through it, and I am very impressed with it. … I will be placing an order through our bookstore for approximately 30 of these for the fall semester." 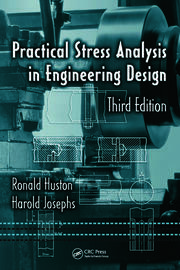 "Overall, I believe this book would make a great addition to the textbook references for the design engineer."